Canada moved into a tie atop Group B with the United States with a crushing 10-2 win over Latvia Thursday night at the Air Canada Centre. Taylor Raddysh led Canada’s attack with a Canadian record four goals and an assist. Dylan Strome had four assists. 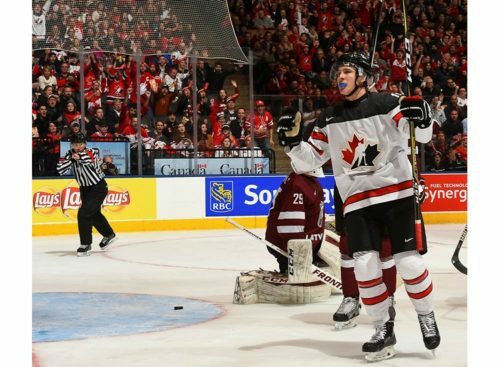 Canada made it 4-0 at 9:11 of the second when Raddysh got his second of the night. Soon after, Latvian coach Rriks Miluns switched goalies, inserting Gustavs Grigals, who promptly allowed four goals in a span of 2:43, including Raddysh’s hat trick marker.